In 1888, Annie met with a group of women from many Baptist churches to address the question of female involvement in missions throughout the world. 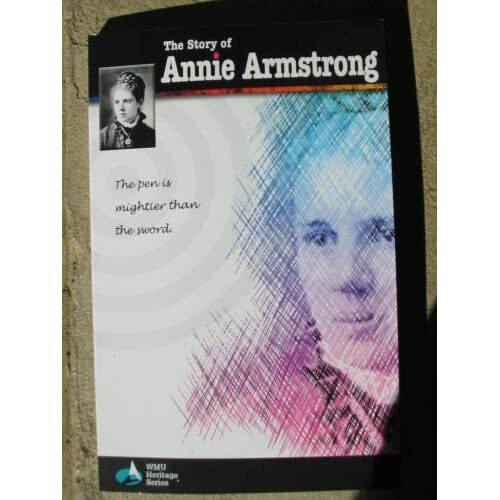 They were aligned with the Southern Baptist Convention (SBC) and organized a group that worked through the denominational structure to encourage women to think about their faith in terms of missions.This group would eventually be called the Women's Missionary Union (WMU) and Annie would be its first director. Her early efforts for missions involved writing many letters--Annie is said to have written over 17,500 letters in one year--and providing a loving hand and a hospitable environment to children and the lonely, disenfranchised masses. The SBC wanted to pay her a salary for her efforts to raise missions awareness among Baptists but she refused not only the salary but also reimbursements for any of her expenses. She insisted that her work was a calling and labor of love.